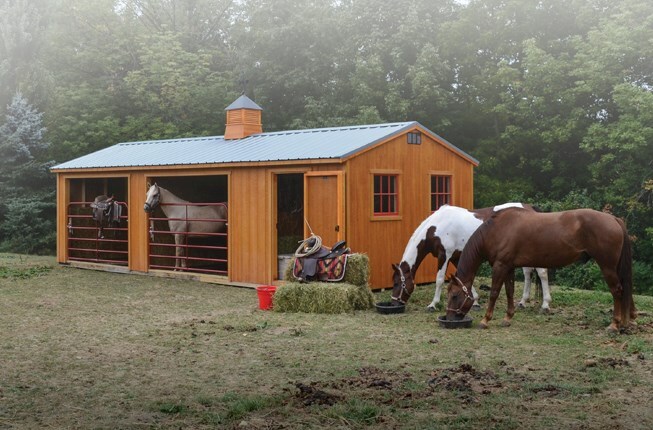 Keep your favorite animals warm and safe in the barn your farm has always needed. A joy to you both. 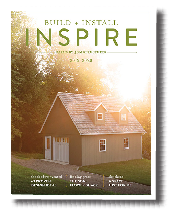 Convert an Aurora, Hanover, Hartford or Mystic, or go custom and have the thrill of building a big, beautiful barn. Customized Lexington, 28'x36'. 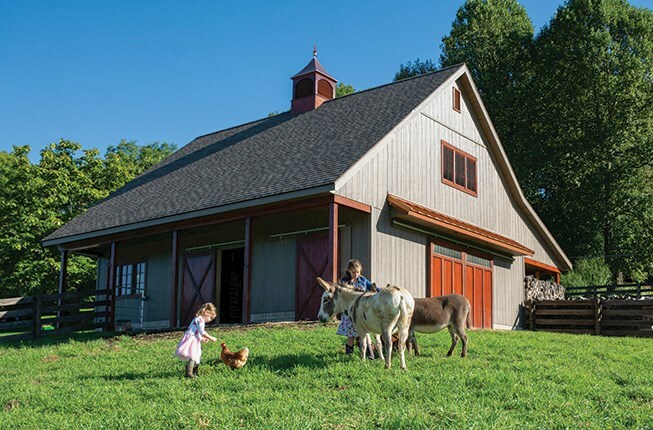 Donkeys, goats and ponies call this brand new barn home, and aren’t they the lucky ones? 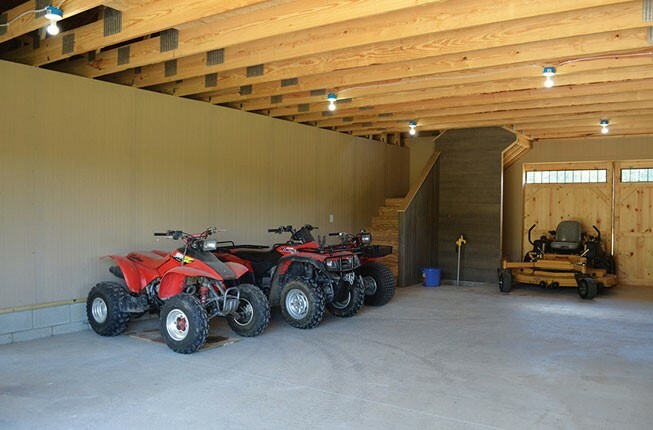 With overhangs on both sides and a full second floor for straw and hay, this custom-built barn was designed for maximum usefulness. A gleam of copper highlights the pent roof and an extra-large, coppertop cupola. Part of the barn serves as a machine shed. Stairs make access to the full second floor much easier and safer than an old-fashioned hayloft ladder. 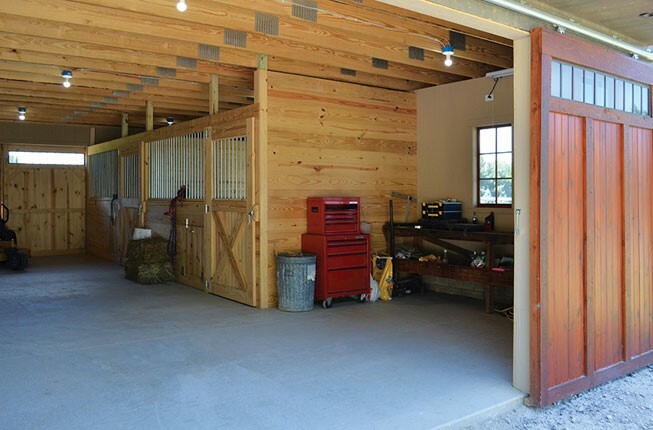 The barn has custom-built stalls and ample space for a woodshop. 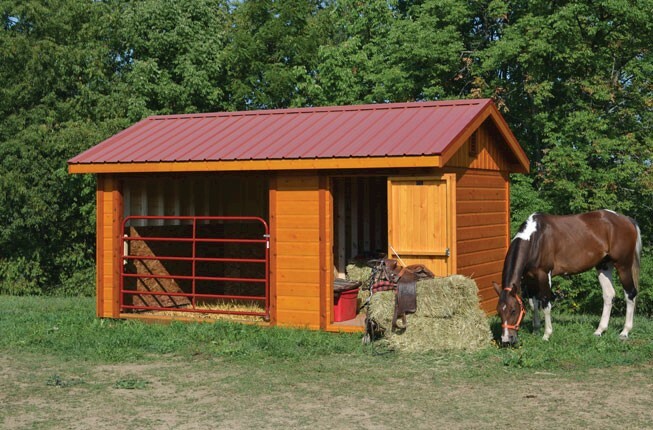 Hartford Stable, 12'x28'. Special touches: SmartSide in Cedar stain, steel roof in Galvanized, 28"x29" wood windows with Cherry accent paint, large cupola and horse weathervane. Red gates are 8' wide, and stables include 4' high kickboards, a 6' high divider, and a reinforced perimeter for delivery without a floor. Dutch doors are available. 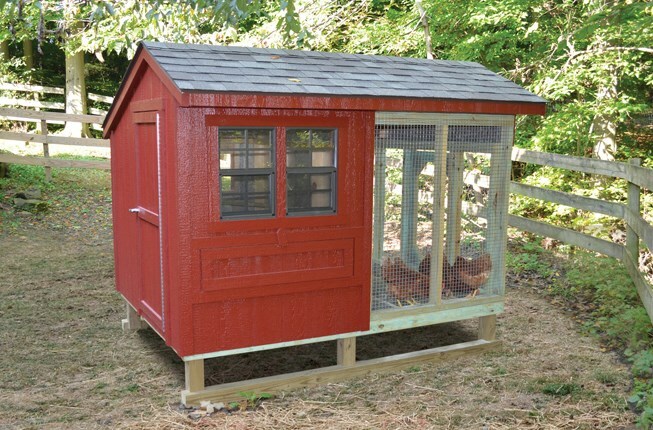 Raised Henrietta Chicken Coop, 6'x8'. Special touches: Barn Red siding and trim. Egg-gathering drop-down door, access door and screened ventilation windows. With or without a screened porch. Foxes not welcome!